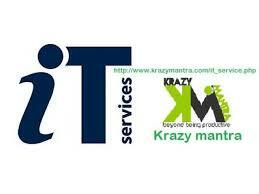 Description Krazy Mantra offers a wide spectrum of IT & Non-IT business solutions globally. Krazy Mantra enables enterprises in brand promotion, lead generation, enabling them to evolve and transform as a brand. Krazy Mantra is a professionally managed company with expertise in broad industry Hardware and Networking Solutions. Krazy Mantra ERP Solutions are designed and developed to manage enterprise business flow, processes and automated.